FuelBox KIDS is tailored to to create engaging, fun and meaningful reflections and conversations with children, especially in kindergarten, but also fun to use at home. The questions are in big capitals and focused on developing childrens emotional intelligence and is also a great tool for strengthening their language and communication skills. This box is recommended for children from 2-8 years. WHAT IS THE BEST THING ABOUT TODAY? HOW ARE FRIENDS DIFFERENT FROM EACH OTHER? HOW CAN YOU TELL THAT SOME PEOPLE ARE OLD? IF YOU WERE THE BOSS IN YOUR KINDERGARTEN FOR ONE DAY, WHAT WOULD YOU DO? WHAT DO YOU NEED FROM OTHERS WHEN YOU ARE FEELING SAD? HOW CAN YOU MAKE OTHERS HAPPY? This is the box that can stimulate children's language development and strengthen their emotional intelligence (EQ). FuelBox KIDS contains 186 questions divided into six categories that will engage children to share their thoughts and feelings with others. 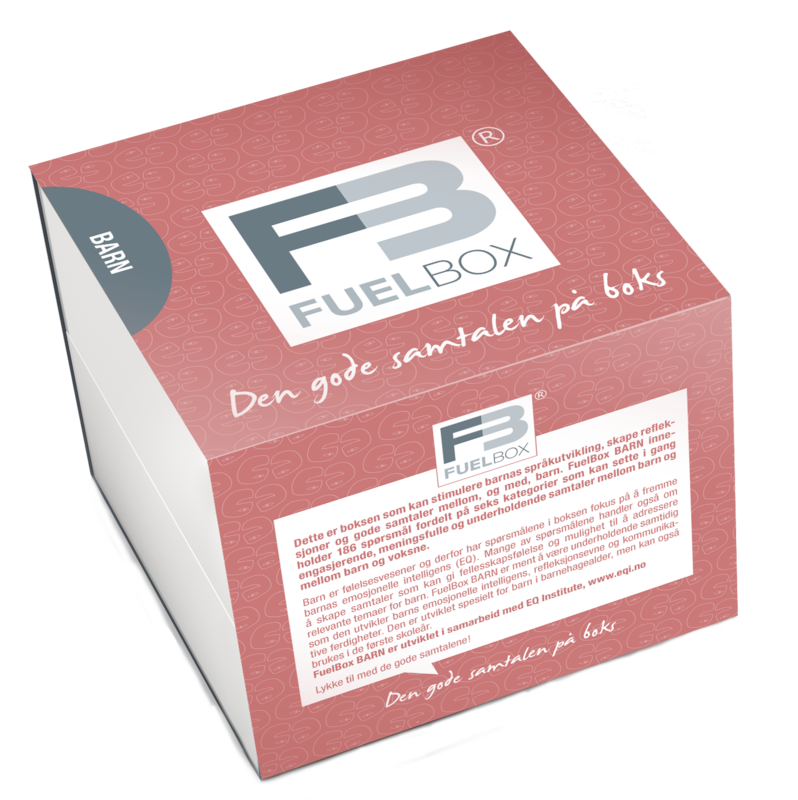 FuelBox KIDS can be used at home with your kids. The questions are designed to help kids share whats on their minds and how they feel in certain situations. This box is developed together with EQ Institutes and designed especially for use in Kindergartens.